This year, Bak full moon Poya Day falls on 19th April. Bak full moon Poya Day is of extreme importance for us Sri Lankans. Let us explore its significance. Bak full moon Poya Day celebrates the second visit of Lord Buddha to Sri Lanka. This visit took place in the fifth year of Lord Buddha’s supreme enlightenment. 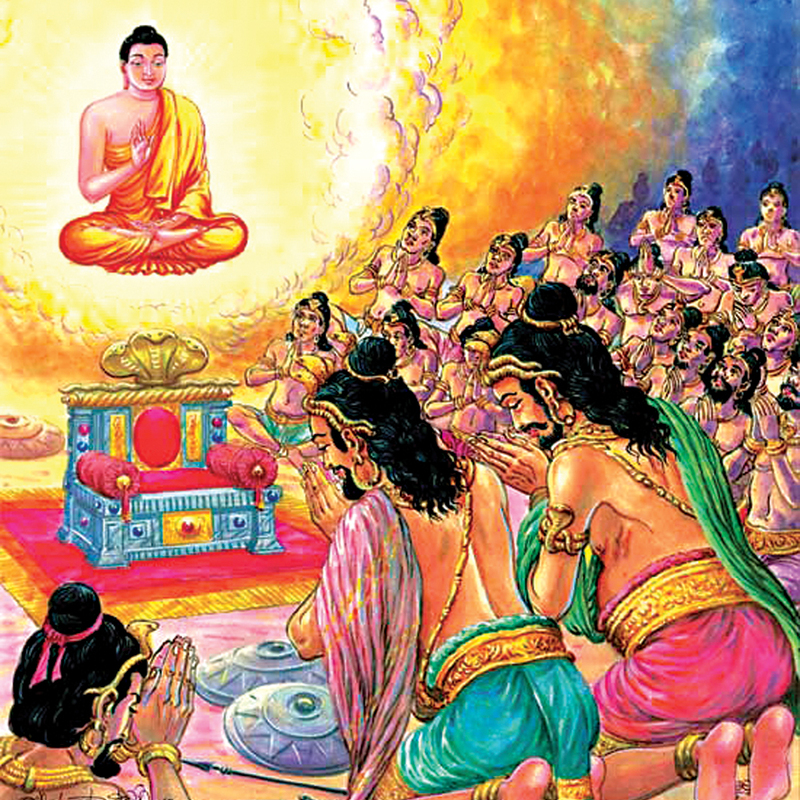 Lord Buddha came to Sri Lanka for the second time in order to reconcile the two local heads Mahodara and Chulodara. Mahodara and Chulodara were uncle and nephew who belonged to the Naga tribe. Naga Mahodara was then a King, gifted with miraculous power in a Naga Kingdom in the ocean. His younger sister was married to the Naga King on the Kannavaddhamana mountain and their son was Culodara. His mother’s father had given to his mother a splendid gem-studded throne. Chulodara and Mahodara had fallen into disagreement over this throne beset with jewels and were threatening each other.